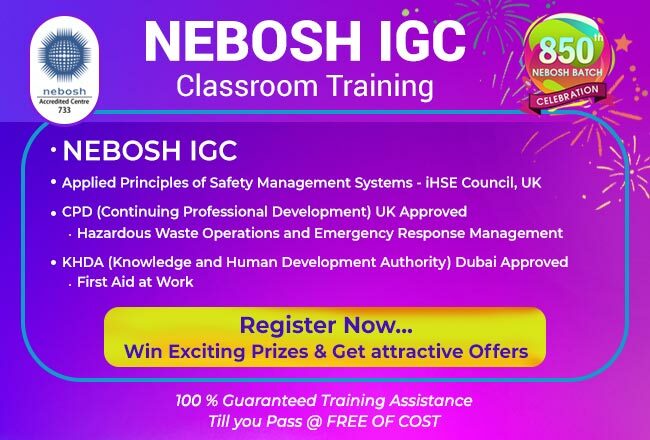 How to clear Nebosh IGC Exam? Do understand the concepts; instead memorizing it. Prepare a notes from lectures, or whenever you learn. Keywords play a vital role: Make use of it effectively. How can I get distinction in NEBOSH EXAMS? If you deliver the answers, what NEBOSH expects, there is scope of gaining marks above 90%. Read the question and deliver the relevant answer, don’t write what you ‘feel’.